DESCRIPTION: At the time of review, it is not clear how many books will form this new series from Haynes Publishing. The first four books follow the same format with softback binding and economy paper. The printing is crisp and the plate section includes full colour and b&w images. The concept is to base the book on the Case Files of the People and Daily Mirror newspapers. The series therefore has some scope for further development because new categories of criminals could form additional books in the series and/or the publisher could add volumes to existing topic groups because the newspaper Case Files will include many more criminals, of equal or greater notoriety, than have been covered in the first books. 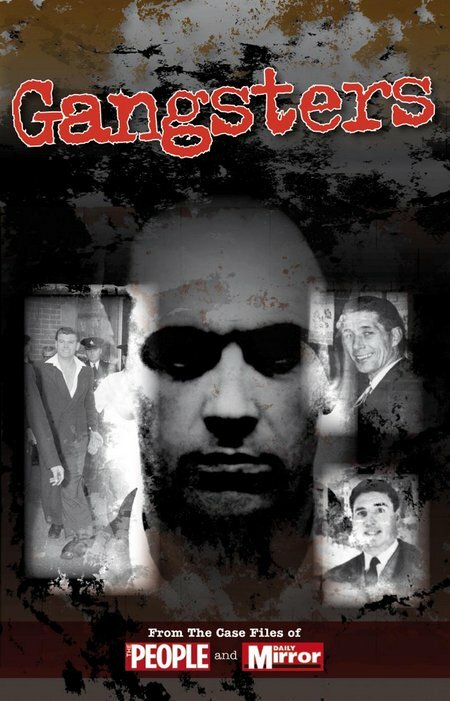 This book provides a collection of text sketches of gangsters and incidents, starting off with The Mafia from its origins as a society of Freedom Fighters defending the native population from invaders and occupiers. The gangsters are grouped into sections as individuals, followed by a section containing a selection of gangs or crime families and incidents are then grouped in sections. This approach allows a relatively large number of gangsters and organized crime incidents to be reviewed by the book. Each entry has generated detailed books and/or news coverage, so that the reader will be able to find much more information from other sources, as this book and its entries are likely to encourage further study. The relative size of organizations covers a range that is often difficult to describe because the criminals are operating covertly. The author has been given access to thousands of hours of investigation by journalists and has been successful in distilling the information down into a single volume. Considering the great and enduring fascination that crime has for every generation, the publisher may decide to publish detailed books on some of the subjects covered briefly in this series. Not all subjects would necessarily justify more detailed coverage and, even here, there is variation in the sizes of entries. The author seems to have worked to a formula that produces longer entries for those subjects that merit it and reading through the book, it feels as though all entries are proportional which allows it to be read conveniently as a single book, rather than as a number of individual elements. This is a book that potentially appeals to a very wide audience and should sell very well, sales being limited primarily by the exposure achieved by the marketers. An absorbing approach to a terrible topic group.